The life of Paul, to its very latest hour, testified to the truth of his words in the second Epistle to the Corinthians: “For God, who commanded the light to shine out of darkness, hath shined in our hearts, to give the light of the knowledge of the glory of God in the face of Jesus Christ. 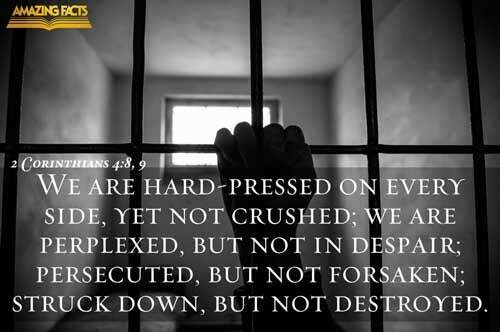 But we have this treasure in earthen vessels, that the excellency of the power may be of God, and not of us. 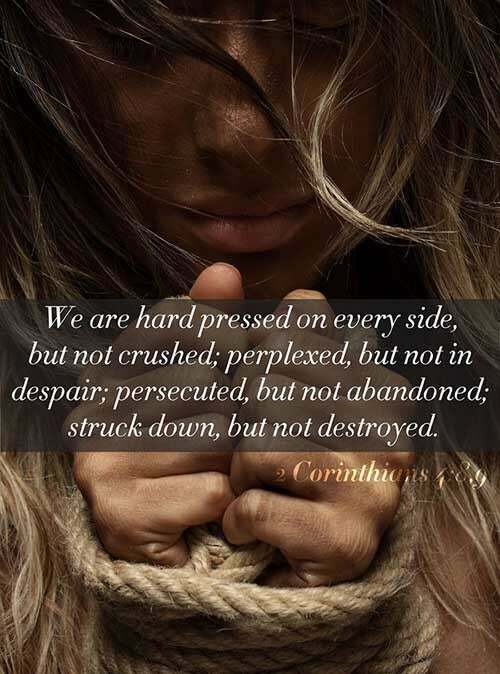 We are troubled on every side, yet not distressed; we are perplexed, but not in despair; persecuted, but not forsaken; cast down, but not destroyed; always bearing about in the body the dying of the Lord Jesus, that the life also of Jesus might be made manifest in our body.” His sufficiency was not in himself, but in the presence and agency of the divine Spirit that filled his soul, and brought every thought into subjection to the will of Christ. The fact that his own life exemplified the truth he proclaimed, gave convincing power to both his preaching and his deportment. Says the prophet, “Thou wilt keep him in perfect peace, whose mind is stayed on Thee; because he trusteth in Thee.” It was this Heaven-born peace, expressed upon the countenance, that won many a soul to the gospel.